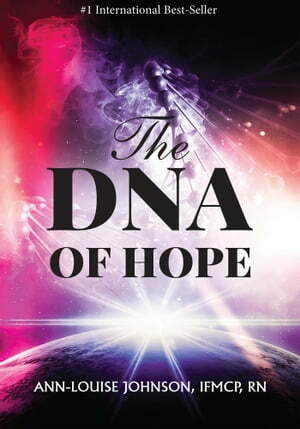 Collins Booksellers - The DNA of Hope by Ann Louise Johnson, 9781370635375. Buy this book online. In The DNA of Hope, author Ann-Louise Johnson has tendered a magnificent offering. While many speak of hope in terms of psychological positioning, The DNA of Hope goes deeper, revealing hope’s relationship to our cellular health. Filled with narrative-science, the reader will discover the body’s eight genetic triggers powerful enough to slow down the aging process from the inside out. Judging by the leading scientists that have endorsed its pages, The DNA of Hope is positioned to launch a seed change in traditional, functional and now, precision medicine.